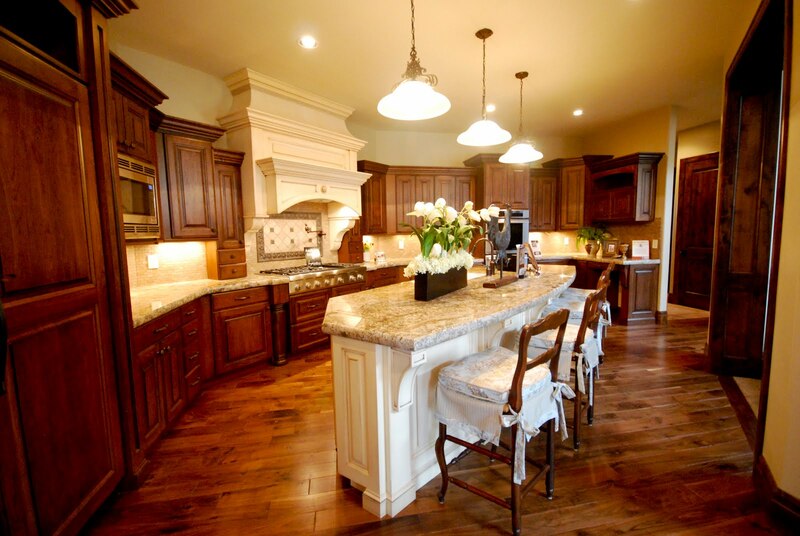 The Granite Gurus: FAQ Friday: What Granite Goes With Espresso Cabinets in a Rustic Kitchen? 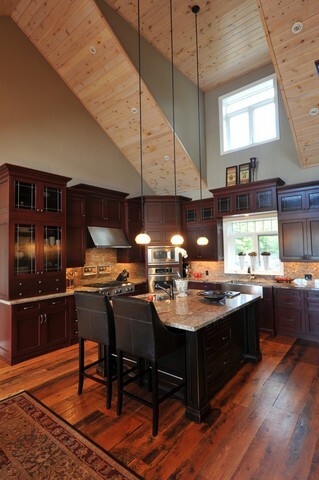 FAQ Friday: What Granite Goes With Espresso Cabinets in a Rustic Kitchen? "I am building my 3rd house. In the first two houses we had cherry cabinets with new venetian gold granite – very beautiful. We are going with more of a rustic look with this house; my cabinets are called sienna charcoal (by wellborne) which is actually a dark brown almost espresso. I am stressing on the granite color. I am sure new venetian would look good but I really want to use something different but that is just as pretty. I really like the Bordeaux color but am not sure which one (if any) would work best with that color cabinet. Looking at the creama; the typhoon and the chocolate. There is a stone fireplace that separates the kitchen and the great room and the color of that stone is browns/grays/rusts. Any suggestions or should I move away from the bordeaux’s and look at something different?" Thanks for the email Debra. 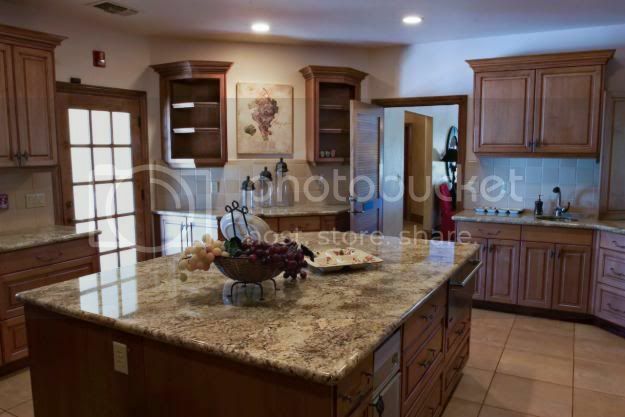 I think you need some light colors in your granite to keep your kitchen from being too dark with your dark cabinets. You are on the right track though, I think the Crema Bordeaux & the Chocolate Bordeaux would be really pretty. Chocolate Bordeaux granite. Photo from MGS by Design. Crema Bordeaux granite. Photo from Dovetail Interiors. The Typhoon Bordeaux would be really beautiful. It has some of these same colors as the Crema Bordeaux with a lot more white. Golden Crystal doesn't have much red, but it's a really pretty granite on dark cabinets. Golden Crystal granite. Photo: Arizona Tile. Thanks again for the question Debra, hopefully this helps! If you have a stone or design question that you'd like to see answered here email me.